Male / Female; Graduate of BS in Accountancy; Must be a CPA; With experience. Male / Female; With experience in managing restaurants / food chains. 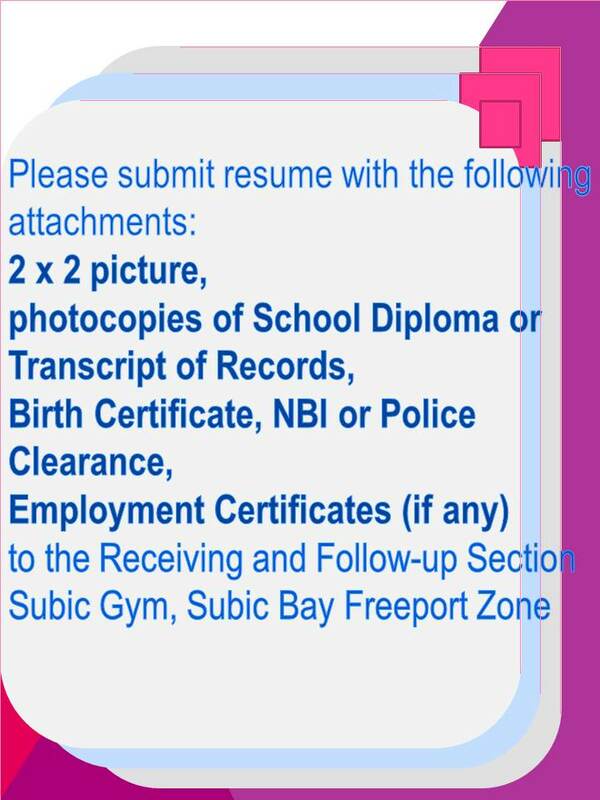 Male / Female; Certified Public Accountant and member of Philippine Institute of Certified Public Accountants (PICPA); With at least 10 years work experience in a related field. Bachelor of Elementary Education; At least 1 year of work experience specializing in education or equivalent; Ability to work in a team with friendly and caring personality and flexible attitude; Good in English both written and oral. Male / Female; 5’6” and above in height; With pleasing personality; At least Bachelor’s/College graduate; Fresh graduates are welcome to apply; With or without experience; With good ethics and customer service skills; Can work with minimal supervision Dedicated and trustworthy; Excellent Communication skills in English both in oral and written. Female; Bachelor’s Degree; Strong organizational, planning and time management skills; Excellent communication and computer skills; Preferably with experience.